If your gun has a "ball" style magazine catch (more common on semi guns than SMGs), replacing the unreliable “ball catch” with the time tested “lever catch” is actually very simple since the only tools you will need is a screwdriver, a small punch, and a hammer. It is best to purchase the “lever catch” in a kit so you know for sure every part required will be included such as the latch, latch spring, latch pin, & old style grip. FTF industries sells the kit on there website where it is a labeled as “Old Style Grip & Mag Catch Assy”. Before following the tutorial below field strip your M-11. Unscrew the grip screw, colored pink, and remove the grip, colored blue. The “ball catch” and its spring can be removed at this time. 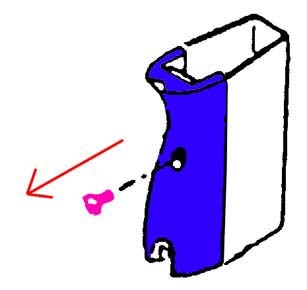 Insert the magazine latch, colored in pink, into the two ears on the magazine housing as shown. Line up the pinholes on the latch to the axis pinholes on the housing and insert the latch axis pin, colored in blue, into the hole. You may have to tap it a little with a hammer and a punch pin, but most of the time it just drops in. This next step is a little tricky. 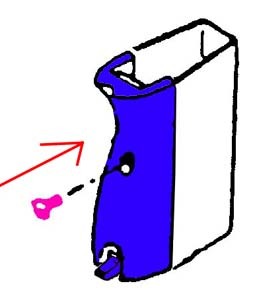 What you want to do is fit the latch spring, colored in yellow, into a pocket on the latch and the in the grip, colored in blue, at the same time so when the grip is against the housing it holds the spring in place. Make sure you hold onto the grip once you have it installed so it does not fall out. Reinstall the grip screw and that’s it. 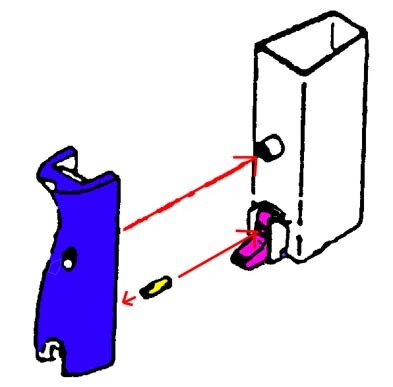 Insert a unloaded magazine to test it out. 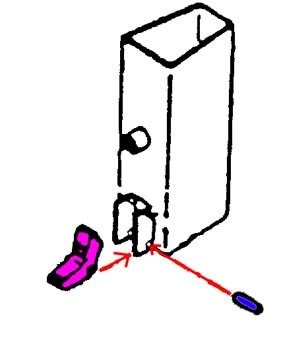 If there is no spring pressure on the latch then you probably messed up on step 3.